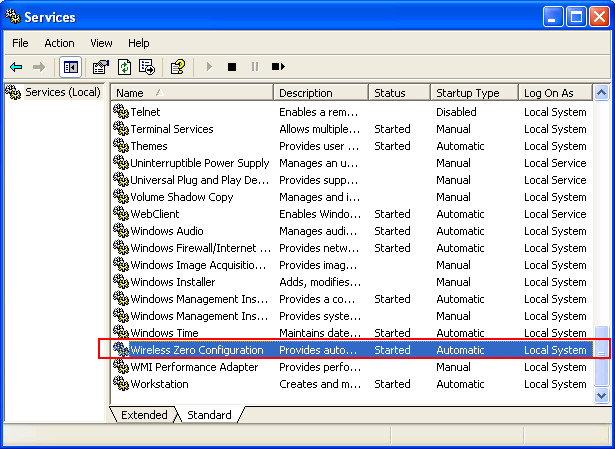 The wireless zero configuration (WZC) is a wireless connection management utility. 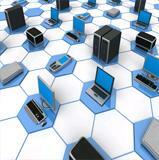 It is included in Windows XP which provides automatic configuration for the 802.11 adapters. 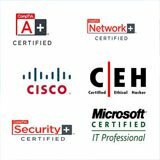 This means that it can allow Windows to detect a wireless network and connect to it automatically. The WZC service can be used instead of a third party wireless network utility provided by the manufacturer of a wireless device. 1.) 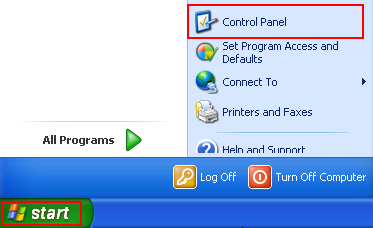 Start and then click Control Panel. 4.) 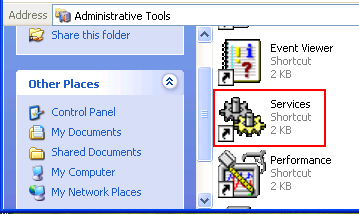 The Services window opens, scroll-down and find the Wireless-Zero Configuration service and make sure that the status shows it at Started and the startup type is set to Automatic. 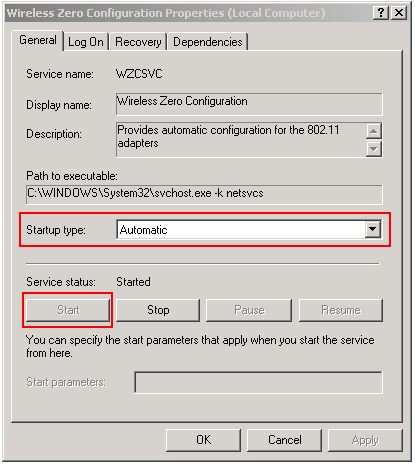 If the Wireless Zero Config service does not show a started status then double-click the service name and when the new window opens, click Start and make sure you select the Startup type: to Automatic in the drop down window. Note: Setting the Startup type to Automatic will allow Windows to start the service automatically everytime your computer boots up. 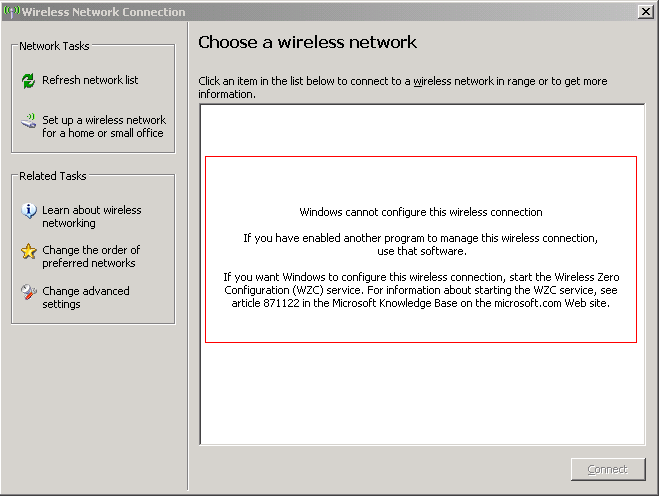 The network adapter does not appear as a wireless network adapter in Network Connections. It might show up as a regular Ethernet connection. The properties of the wireless network connection does not have a Wireless Networks tab. 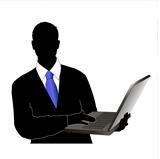 You will notice a yellow question mark in the Device Manager for your wireless adapter device. 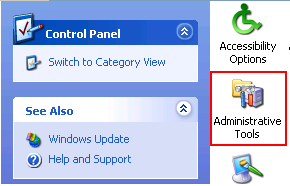 You do not receive a Windows XP notification bar message indicating that wireless networks are available. To fix most issues, you can go to the manufacturer's website and download the latest driver for your adapter. 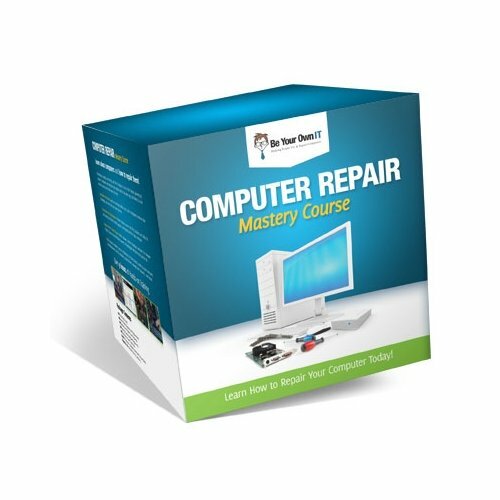 Make sure you download the correct driver for your operating system. Example: choose the Windows XP 32-bit driver and not Windows 7 64-bit driver if your system is a 32-bit Windows XP system. 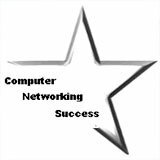 Check this article about how to install a network driver.